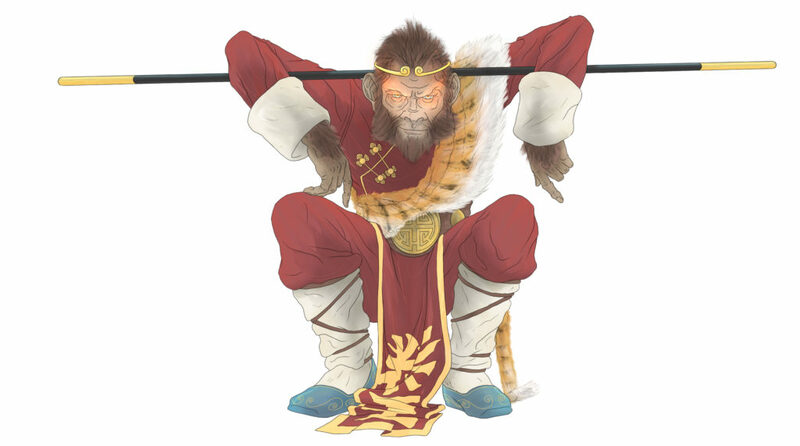 Monkey the Role-Playing Game is based upon the Chinese Classic “The Journey to the West” and a lifetime of TV shows, Films and Comics, all based upon the heroic journey of the Monkey King and his companions, Pigsy, Sandy and Tripitaka through the vibrant world of Chinese folk religion. This is a game set in a mythical China, where out of grace immortals, created by the players, seek redemption by escorting a vulnerable and mortal Monk to distant India. Braving many dangers along the way, to recover scrolls of lost scrolls of Buddhist scripture. The road through the wilderness is dangerous since all of Demon-kind has resolved to stop the pilgrims and the eat the Monk’s flesh! The game’s simple rules, which use standard playing cards, allow for any sort of action that you can imagine, from fast-paced Kung-Fu to heated debates. 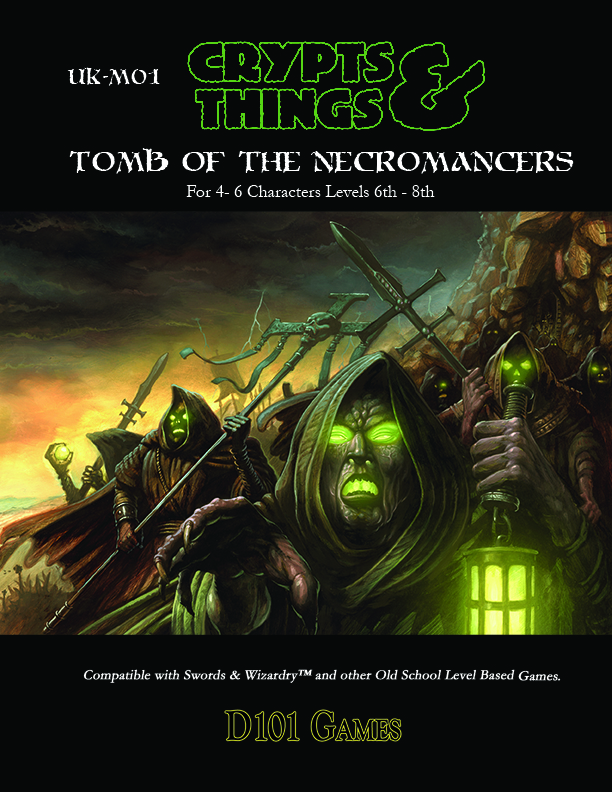 The main rulebook contains all that you need to play, except two packs of standard playing cards (one for the players and one for the referee) and your imagination. For more information check out the first 23 pages of the book in the preview below. Here’s Monkey himself as a sample character. Here’s the game’s character sheet. Also check out the Monkey blog, for development notes, news and other interesting links relevant to the game. US Trade format (6 inches by 9 inches). Colour and black and white interior illustrations by Peter Frain (of 77Studios.com) and Daniel Barker. 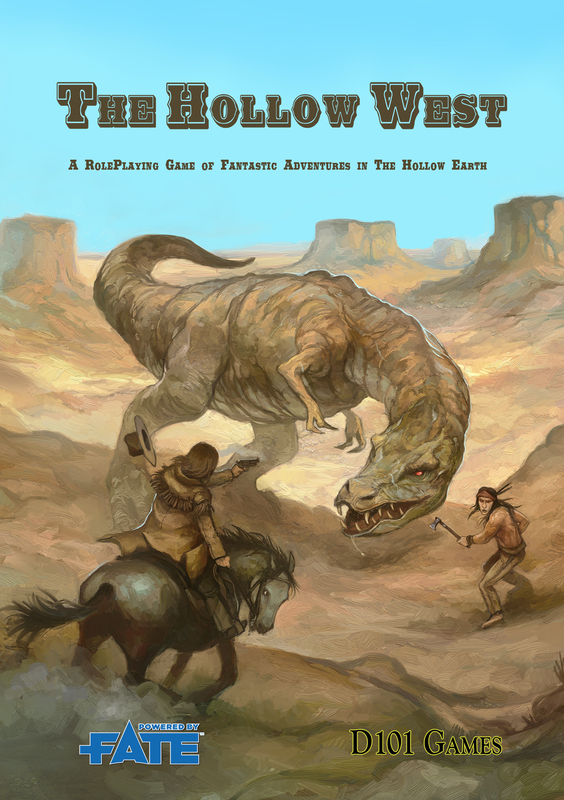 Please note although we give complementary free pdfs away with the printed versions of our games that we sell here, we do not sell pdf only via this site. D101 Games also has a store over at Redbubble, selling T-shirts, mugs etc based on art from our games. 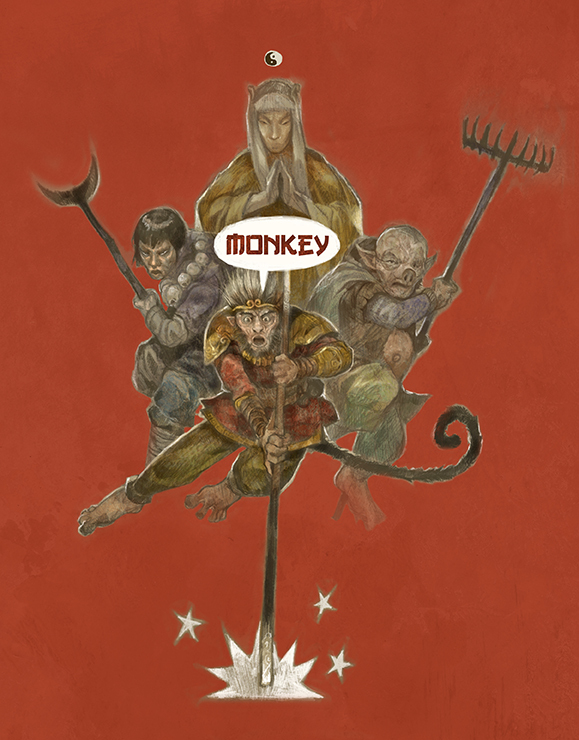 Visit the D101 Games Redbubble Store "
A weekend of Monkey Magic!